Misdiagnosed sacroiliac pain accounts for a substantial percentage of all patients who are told they are suffering from SIJ symptoms. 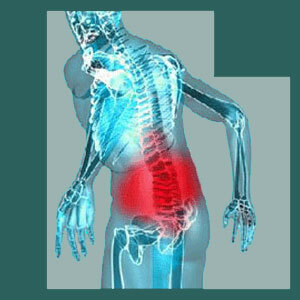 We estimate that approximately 45% of all sacroiliac joint diagnoses are incorrect. We are just as shocked at this statistic as you must be! Misdiagnosis remains the single greatest problem in the modern musculoskeletal pain treatment sector. So many conditions, ranging from back and neck pain to joint pain to sciatica and sacroiliac pain, are famous for their abysmal therapy outcomes. So many patients try treatment after treatment, but they still have terrible pain. Many even undergo surgery that not only fails to deliver relief, but also is eventually found to be completely unnecessary, since the diagnosis was incorrect all along. This eye-opening article explores the most sinister fate that can befall any patient: suffering misdiagnosis of a sacroiliac joint pain problem. We will examine the consequences of misdiagnosis, why it occurs and how to prevent yourself from becoming one of its many victims. Why is Misdiagnosed Sacroiliac Pain Common? Sacroiliac joint pain syndromes are often theorized to be the cause of suffering as revisionary diagnoses. In the majority of cases, patients were first diagnosed with some other condition as the source of their pain, but this condition did not respond to appropriate treatment. Therefore, the diagnosis was revised at some point to now blame the sacroiliac for generating symptoms. Most patients were previously thought to be suffering from lumbar spinal pathologies, such as herniated discs, spinal stenosis or other structural issues that are basically normal parts of aging, or from hip degeneration, which is also normal and universal. Most of these patients endured many failed treatments and some even suffered through unneeded surgical butchery for what amounts to a diagnostic blunder. Virtually all sacroiliac joint diagnoses are made subjectively and without definitive evidence of any pathology. Rare exceptions are some cases of extreme dysfunction, like unstable hypermobility, and some forms of sacroiliitis. Previous diagnostic verdicts were likely mistakenly reached with far more convincing evidence than could be produced for most SIJ diagnoses, yet these determinations turned out to be wrong. What makes you think that the sacroiliac joint treatment path will end any better? Even when sacroiliac pain is the initial and primary diagnosis, instead of a revision, the same rules apply. Evidence of pathology is usually sadly lacking and the opinion of the specific caregiver is the real factor in determining whether to treat the sacroiliac joint or not. Given the strong financial motivations of some care providers, most will choose to provide treatment, even when they have no idea if the SIJ is the real culprit or not. When any diagnosis is incorrect, then subsequent treatment has no hope of success. Treatment will never be targeting the true cause of pain, which will remain unresolved and symptomatic as therapy after therapy fail. Does this sound familiar? If not in your own case, perhaps in many of the horror stories you might have heard about unresponsive sacroiliac, sciatica or lower back pain. Patients are forced to suffer for extended periods of time while doctors and therapists get rich off their mistakes. Some patients suffer a degeneration of the overall health, functionality or mindset due to the simple fact that their pain remains a major problem in life. Meanwhile, the true causative condition might worsen with time, as it is not receiving any care which may be medically necessary. Some patients even undergo surgery to correct some structural condition in the SIJ which is completely innocent and incidental to their pain. Many choose to have the SI joint fused and might suffer lifelong negative consequences of this choice. The worst part of this whole sordid story is that doctors are virtually never accountable for their blunders. Most will find some way of legally changing their opinion, such as “the previous diagnosis was treated successfully, but now the problem has moved elsewhere” or “the previous problem was valid also, but you have 2 problems causing you pain”. We have heard all the excuses many times before. None are acceptable and these greedy doctors must practice in front of a mirror in order not to laugh while delivering these falsehoods. The simplest and most effective way to prevent misdiagnosis is to get more than one diagnostic opinion. It is best to utilize several different types of care providers who do not know each other. This way, your chances for a truly objective opinion increase, as opposed to one doctor backing up another’s prior opinion in the interest of fraternity. Additionally, you must learn all you can about your pain. This is why we have been providing completely free educational tools for chronic pain sufferers since the inception of our organization. Without knowledge, every patient is lost. Finding knowledge can be a challenge as well, as so much of the information is nothing more than marketing material that is created by the very same doctors who are responsible for the epidemic problem of misdiagnosis. You need to learn from factual sources, not from caregivers who are literally selling their services to you at the expense of your health.